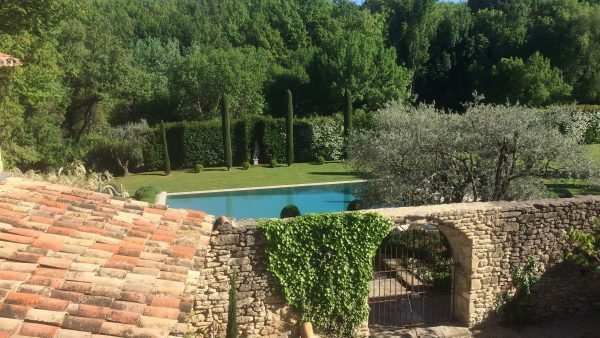 The garden includes terraces, an infinity swimming pool, tennis court and boule pitch, ancient olive trees, stately cypress and stone walls. 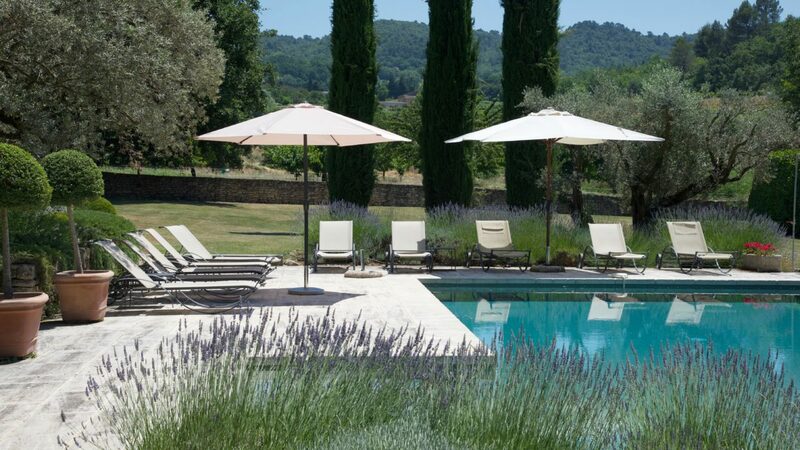 It has superb views over cherry orchards, woods, lavender fields and its own vineyard. The garden is a mixture of English formality with topiary and clipped hedges, mingled with borders of pretty flowering plants and shrubs and plenty of green lawns for ball games and high jinks. The main garden is approached from the courtyard through the arched gateway which leads on to the upper terrace where a graceful wisteria forms a vast swathe of shade above the dining area in the hot summer months and flower beds cascade with colour. 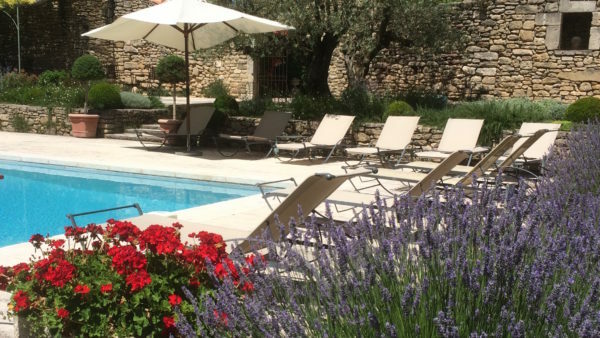 The garden offers everything for the sports enthusiast whilst on their vacation: an impressive 12 metres x 6 metres infinity swimming pool, an all-weather tennis court (private lessons available) and a boule (or pentanque) pitch with views towards Mont Ventoux. 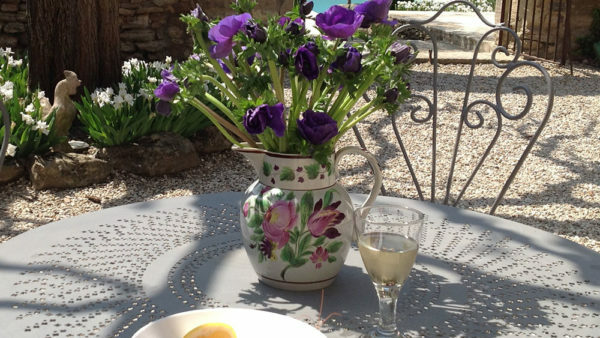 For those who enjoy an evening stroll, our own vineyard in front of the house provides the perfect setting for a pre-prandial meander. There we grow Syrah grapes which, when harvested in September, are taken to the local Bonnieux Cave Co-operative where they are made into delicious wine. In one corner of the garden you will find a small waterfall feeding a pretty stream which meanders down the valley and is safely fenced off for the security of small children. 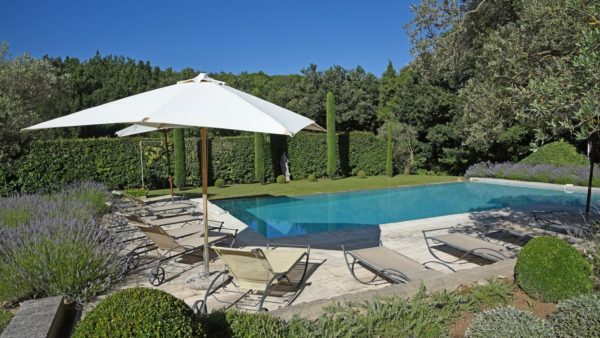 Elsewhere you will find pear, fig and quince trees, oleander bushes and beautiful mature trees. There’s lots to discover in the charming grounds.